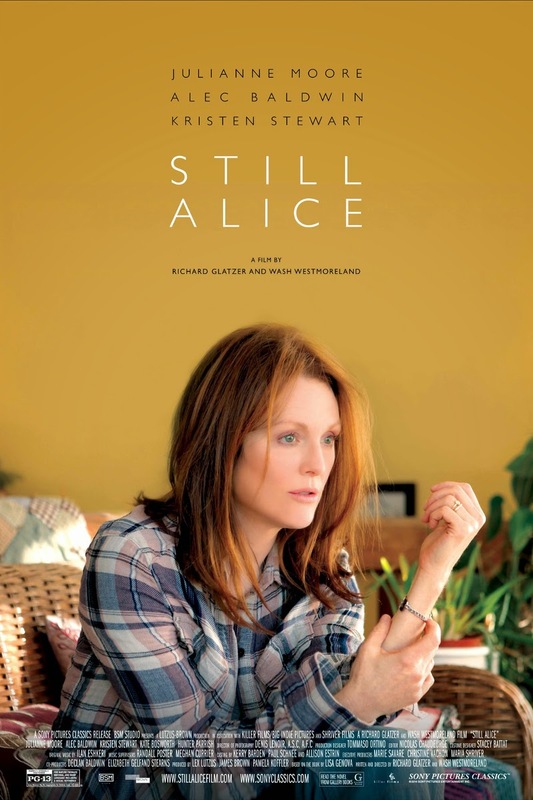 My blog of the latest screening at the Film Club located at the Robert Burns Centre Film Theatre in Dumfries is based on the film Still Alice (2014), having never read Lisa Genova’s 2007 novel of the same name. It was Anne Barclay, our host for the evening, that informed us that the debut novel was originally self-published but when it started to receive a lot of attention it was acquired by Simon and Schuster who published it in 2009 and has since been translated into 31 languages. Originally adapted for the stage it run in Chicago between April 10th and May 19th 2013 before it was adapted for the big screen, directed by Richard Glatzer, who died of complications from amyotrophic lateral sclerosis in March 2015, and his partner Wash Westmoreland. Sharing an intimate moment with her husband. The film stars Julianne Moore who won an Oscar for her role as Doctor Alice Howland a linguistics professor at Columbia University who is diagnosed with early onset familial Alzheimer’s disease. This term is used to describe cases of Alzheimer’s disease diagnosed before the age of sixty-five of which a person’s child can generically inherit, but otherwise shares the same traits as the late onset form of Alzheimer’s. The story demonstrates how the disease gradually affected Alice Howland along with the effects on the other members of her family, including her husband John (Alec Baldwin), her eldest daughter Anna (Kate Bosworth), her son Tom (Hunter Parrish) a junior doctor and Alice’s youngest daughter Lydia (Kristen Stewart) an aspiring actor. The film picks up the story just as Alice is celebrating her fiftieth birthday and we witness her gradually loosing her word power while still carrying out lectures and how she forgets where she is during her daily jogging on the university campus. It’s after a visit to her doctor that the disease is diagnosed. This traumatic news resonates through her family, as her three children could also be carriers as well as the twins that Anna is carrying. I can’t help but think how much better this film could be under the auspices of a British director, but don’t get me wrong Julianne Moore deserved her Oscar and the rest of the cast play their roles with conviction. 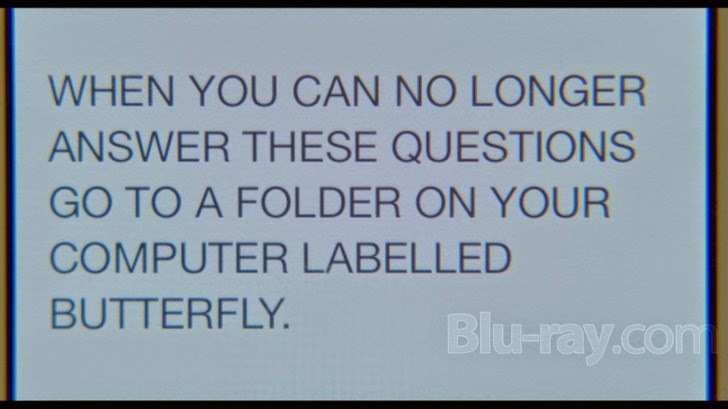 My problem with the movie is that the gloss put on the film by the American directors hides to some extent the seriousness of its disturbing subject matter. A much more down to earth approach would have produced a far better film in my opinion. The subsidiary characters on display where not particular likable, in fact I would describe them as selfish minded - big teeth, big smiles in other words a typical middle class American family. The father refused to take time off work to be with his wife before the dementia finally took its toll, due, he claimed, to financial problems but he owned two houses! Anna, who was due to give birth to twins, gave not a second thought to having the babies knowing that they could be also effected as she was. What I’m trying to say is that I could not empathies with any of these characters, other than possible Alice. A far better film that dealt with a similar subject was Away from Her made in 2006 by Canadian director Sarah Polly and starred Gordon Pinsent and Julie Christie as a couple whose marriage is put to the test when Christie’s character begins to suffer from Alzheimer’s. Another film I would highly recommend on the subject of early onset Alzheimer’s is the South Korean movie Poetry (2010) directed by Lee Chang-dong. Both these films treat their subject matter in a very much more down to earth fashion, as I’ve said, something Still Alice lacks.